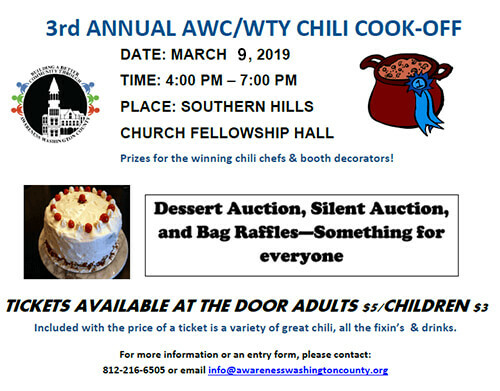 Awareness Washington County and We the Youth invite the community to the third annual Chili Cook-Off. Scheduled for March 9 from 4-7 pm at Southern Hills Church, the Cook-Off will include great food, fellowship, and many different activities. The Cook-Off will also feature a silent auction and a bag raffle, popular events at previous years’ cook offs. 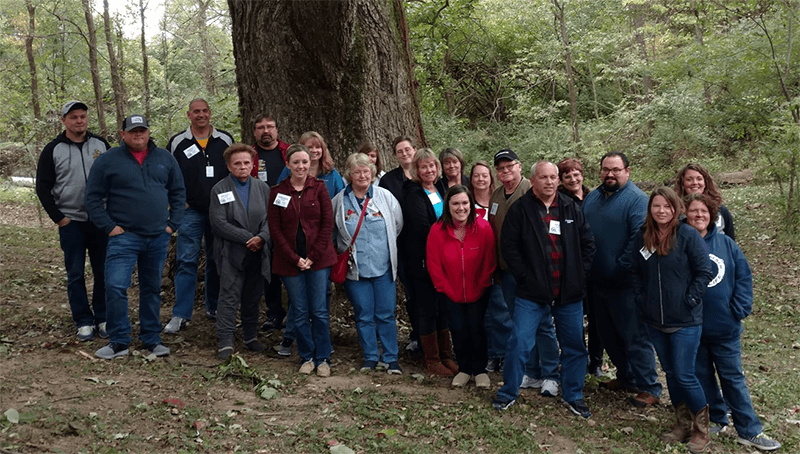 The large oak tree located on the original homestead of Philbert and Molly Sears Wright has been visited annually by Awareness Washington County for over 25 years. The species of this oak tree has been speculated on during this time. Its combination of size, leaf, acorn and bark didn’t seem to match up with Chinquapin, Swamp White, or Burr Oak characteristics. This year, AWC participant Troy Albert, identified it as a Swamp Chestnut Oak (Quercus michauxii). AWC has partnered with GoodShop so that now you can enjoy shopping online while helping support the development of servant leaders in Washington County! Goodshop gives you the best coupons for thousands of stores like Target, Apple, Amazon, Petco and more AND a percentage of what you spend on virtually every purchase is donated to our cause! Plus, with the Goodshop app for iPhone and iPad, you can shop, save, and give on the go. Save money and help a good cause every time you shop! Check it out today and start shopping online by : www.goodshop.com. "I have learned to look at things from others' point of view. I have learned that my opinions matter & need to be shared. I have learned that it is okay to not be extremely lower right, & I am not always right."